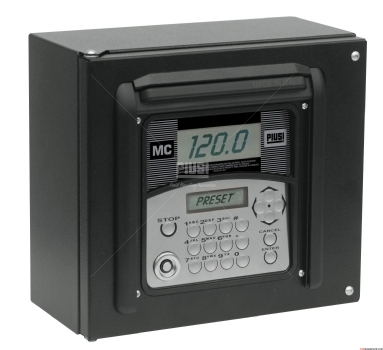 The MC Box fuel management panel has the capability to control and manage the consumption of fuel for the private and commercial user sector for up to 120 users or plant items.This unit operates on 12V DC and can handle up to a 50amp load, making it ideal for mobile systems as well as static DC systems. Its intelligent design allows the unit to be easily connected or added to both new and existing pumps providing low cost, simple, easy to use fuel management. The MC Box is the perfect solution as an "Add on” unit for existing pumps or where it is preferable to have the pumps and control panel installed in two different places. The MC system consists of a dedicated multi-user panel with the option to provide reporting through to your PC. The system is easy to install and has excellent weather resistance. NB if used with Class 3 Flammables, must be located 8 metres from storage/pump.